Crocker Lane. A ditch on the other (west) side drains into a wetland. At the risk of getting lost in this regulatory swamp, let’s take a look at yet another complication arising from the morass of wetlands rules. This one is causing a year’s delay in Albany’s project to rebuild the northern stretch of Crocker Lane. Public Works Director Jeff Blaine told the city council last week that the street project in North Albany would likely be moved to 2017 instead of being done next year and a wetlands-permit issue was the reason. For the details he referred me to city engineer Chris Cerklewski. Ultimately, all of the runoff within that basin in North Albany ends up in that swale, and ultimately the Willamette River. Every bit of it. So what would stop the Feds or the State from placing the same conditions all along Gibson Hill Road, Valley View Drive, Crocker Lane, and Scenic Drive and their side streets and lanes that all have roadside ditches draining into that same (genuine) wetland? Nothing, subject to the definition of “immediate.” Watch that definition expand going forward. Guaranteed. The city should have higher priorities than Crocker Lane upgrades. MUCH higher. Thumbs up to you Mr Carrick, I agree. Take a look at what has been done along Gibson Hill Rd. during the construction of the sidewalk. There are places that have been filled with drain pipe beneath the fill and areas that have been left open. What makes Gibson Hill Rd different from Crocker? Oh gee, yet another example of one of the departments of our government that is out of control. I agree that there should be agencies to protect wetlands, BUT, they have expanded their authority to the point of being scary. They are way out of bounds and I really don’t know how to rein them in. I think the old term, “I love my country, but I am scared of my government” applies here. Meanwhile, they are costing us taxpayers a whole lot of money needlessly. 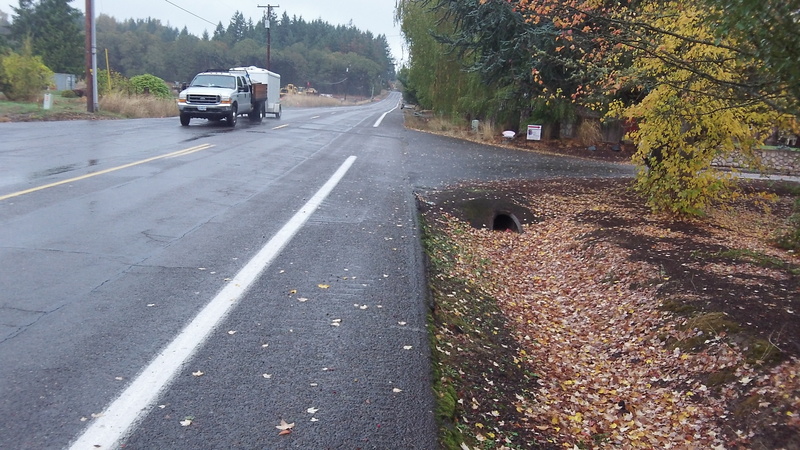 Oh, and talk about needless things, the improvements for Crocker Road in North Albany are not needed. (That is my opinion being a resident of the area and driving on Crocker everyday). The way I hear it, the city is cutting a fat hog and charging a developer for the “improvements”. And, I believe that is the only reason this project is planned. I would guess that not all the costs of the project will be covered by the developer. The rest will be covered by us, the taxpayers. Yep, I’ll bet the farm you’re right on that. Each operates largely free of interference and has the power to write and enforce rules that have the power of law. If you want to do anything remotely related to water, you cannot act until you pay the man and get his permission. Local drainage ditches have fallen victim to the administrative state. How much longer before the state claims control of every backyard puddle and driveway pothole? And we keep electing the idiots who enable this mess, both Republican and Democrat. We have nobody to blame but ourselves. of the growth comes from existing paid staff who always look for ways to grow their staffs and city councils who don’t recognize that human trait. Notwithstanding the drop in staff levels over the past few years, some of us see a bonafide need to have a level of qualified staff to meet community needs. I embrace the opportunities to help provide that.